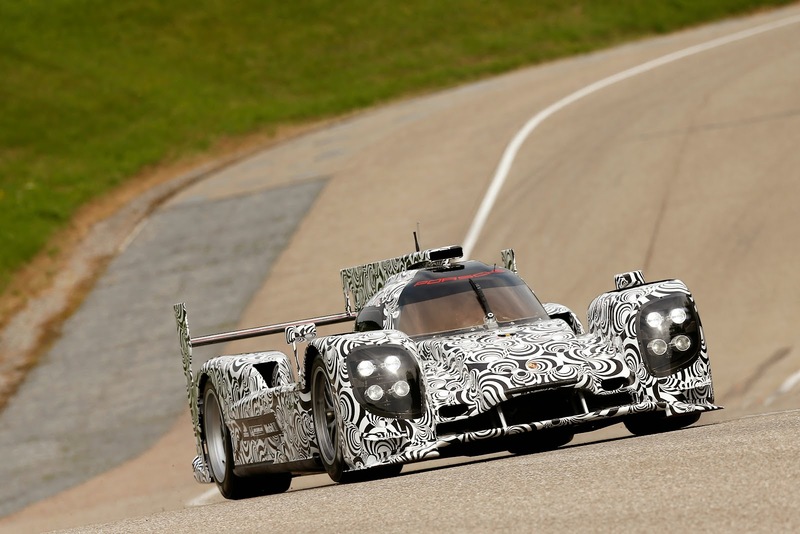 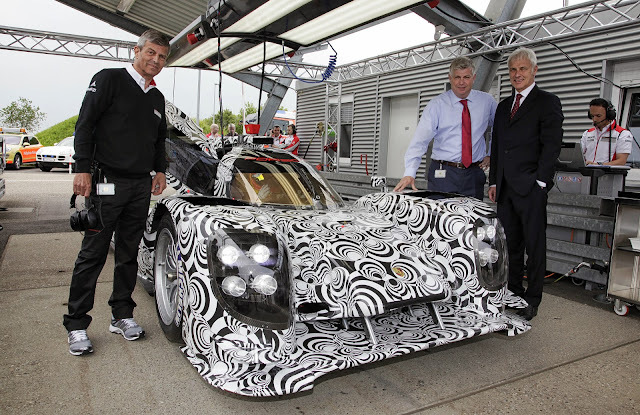 You've seen the 2013 Porsche Le Mans 911 RSR car, now feast your eyes on the 2014 Porsche LMP1 car. 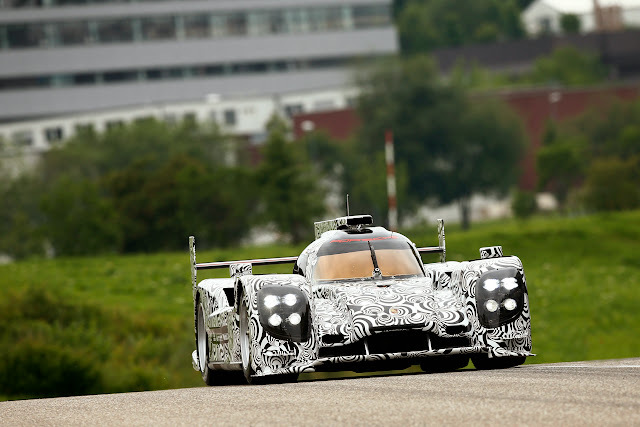 Timo Bernhard drove the Prototype LMP1 on its first test for a few laps round the Weissach race track yesterday. Porsche have built a new centre at Weissach, which houses 200 employees, to develop the LMP1. We'll keep you updated with more information as it comes in.